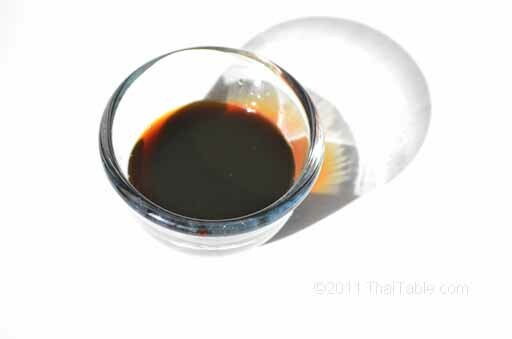 Within the soy sauce food group, there are several flavors and each flavor is used for specific dishes. 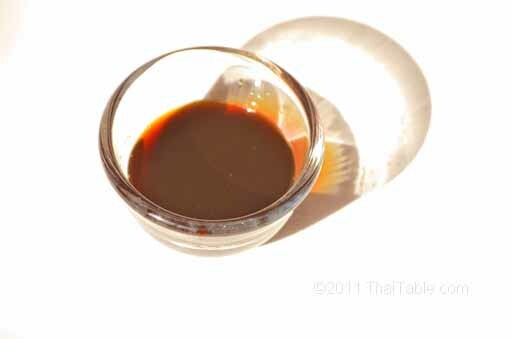 With all the varieties and brands of soy sauce, trying new ones can be fun - like trying new wines - you just need to recognize that sometimes you are going to run across one you don't like and will not want to finish the bottle. Fortunately, soy sauce is far far less expensive than wine, and while there's a lot in a bottle, you don't have to feel too guilty if you don't finish it off. I'd guess a family of 2, cooking 60% of their meals with soy sauce will go through a 750 ml bottle in about 2 months. You can keep soy sauce in the cupboard - there's no need to refrigerate it. 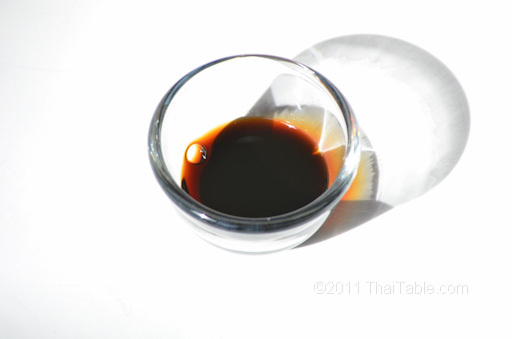 Light soy sauce or 'see ew kow' in Thai is lighter brown in color. Great for soup because it gives the soup the right color, not too dark. This is dark see ew with molasses. It is very thick and dark. While it is not used frequently, it does have a great taste. It is used for kow mun gai (chicken on rice with hot yellow bean sauce). 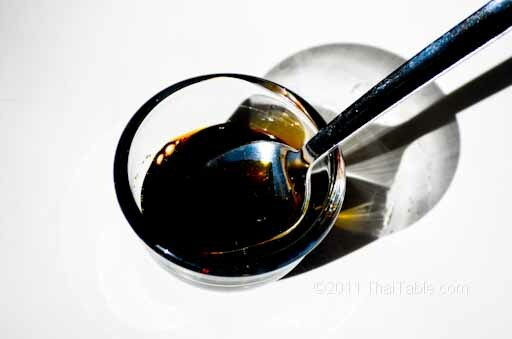 Dark soy sauce is used as a training sauce for little kids until they are old enough to handle hot foods.